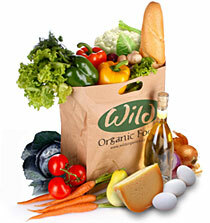 Choose from one of 3 different Wild Bag offerings below. Our fresh fruit and veggies vary weekly, as we follow the seasonal harvest of local farmers. You're welcome to add some tasty extras to your Wild Standard or Mini Bag from our selection of breads and cheeses, meats, dried and bottled goods. Please take time to follow the order process all the way through to pressing the "CONFIRM" button. You will see an order number and you will receive an electronic order confirmation almost immediately. If you dont have an order number then we dont have your order. 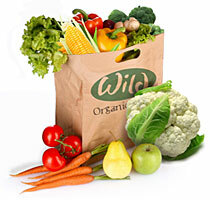 Our seasonal selection of 11-12 types of fruit and veg, feeds 2-3 people for a week. 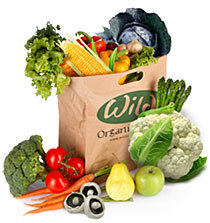 We choose 8-9 items from the same list as the Wild Standard bag, packed in slightly smaller quantities: good for one person. Please ensure that you have collected all your goodies from your selected collection point on day of delivery as Wild cannot be held responsible for orders not collected on the day.